You can determine the IP address or addresses of your Linux system by using the hostname, ifconfig, or ip commands. To display the IP addresses using the hostname command, use the -I option. In this example the IP address is 192.168.122.236. The ifconfig command can also be used to display the IP addresses being used by the system. By default ifconfig will display information on all the network interfaces that are currently up, including the loopback interface. To gather information on just one interface, supply that interface as an argument to ifconfig. You can even take this a step further and extract the line that contains the IP address or even extract the IP address itself. Let’s do the same thing with the ip command. To view ip addresses, use ip addr show. Like ifconfig, you can specify an interface. If you want to know the public IP address of a Linux server, you can send an HTTP request to one of the following web servers. If the Linux system is connected directly to the internet, the public and private IP addresses will be the same. However, in most cases they differ. Here is an example using the curl command. You can also achieve the same result with wget by enabling quiet mode with -q and sending the output to standard output (STDOUT) with -O-. 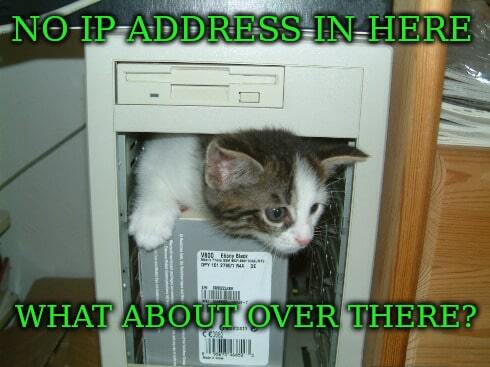 There’s yet another way to determine your public IP address. Perform a DNS lookup against myip.opendns.com. It’s a service provided by OpenDNS and it’s lightening fast!